Just in time for Iris Johansen’s “The Killing Game” on Lifetime, get four Eve Duncan e-books together for only $19.99! 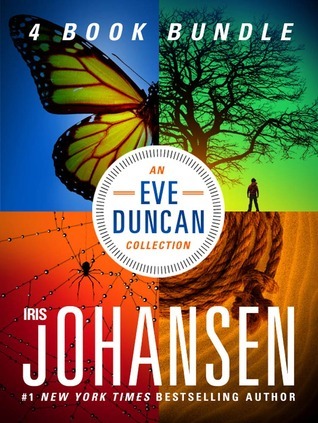 New York Times bestselling author Iris Johansen has captivated millions of readers with her fast-paced forensics thrillers featuring heroine Eve Duncan. Here together for the first time in a convenient eBook bundle are four of her popular Eve Duncan novels: QUICKSAND, BLOOD GAME, EIGHT DAYS TO LIVE, and CHASING THE NIGHT.